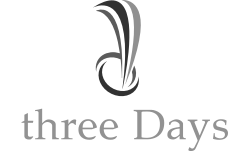 threeDays have partnered with Pandanis to bring you, Azerah, the most advanced and user friendly EHR available today. We provide more than just a way for your practice to go paperless. Our comprehensive solution allows practices to improve efficiency and enhance patient care. Using industry proven technology, Our Pandanis Team will partner with you to help your practice achieve its goal of delivering the best patient care possible. Pandanis is a fully unified solution for practices and enterprise groups of all sizes and specialties, linking all features via a single data portal. All products were developed by one company with the goal of providing a single solution to the health care community. In addition to our software solution we will partner with you to ensure your solution is implemented and configured exactly the way you want it and that your team understands their role in using the system. As long as you are a member of the Pandanis Team, we will commit to partnering with you to ensure your current and future staff fully grasp every function of the system. Our goal is to partner with you, not just provide you with a solution.